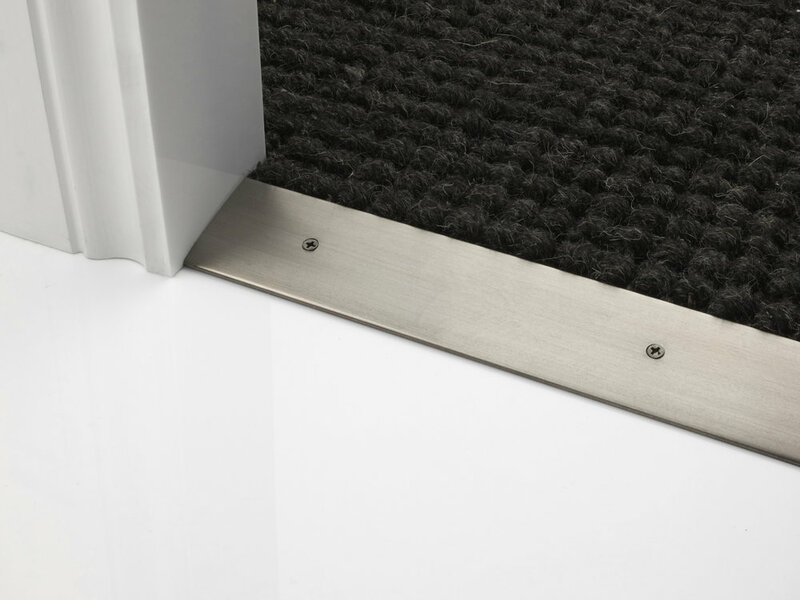 The Seam Binder 2 11/64" is a screw down door bar for almost every transition: carpet to carpet, carpet to hard floor, vinyl to laminate, carpet to stone, the list is endless. A truly universal product. The Seam Binder 2 11/64" will also ramp up to a 23/64" edge. 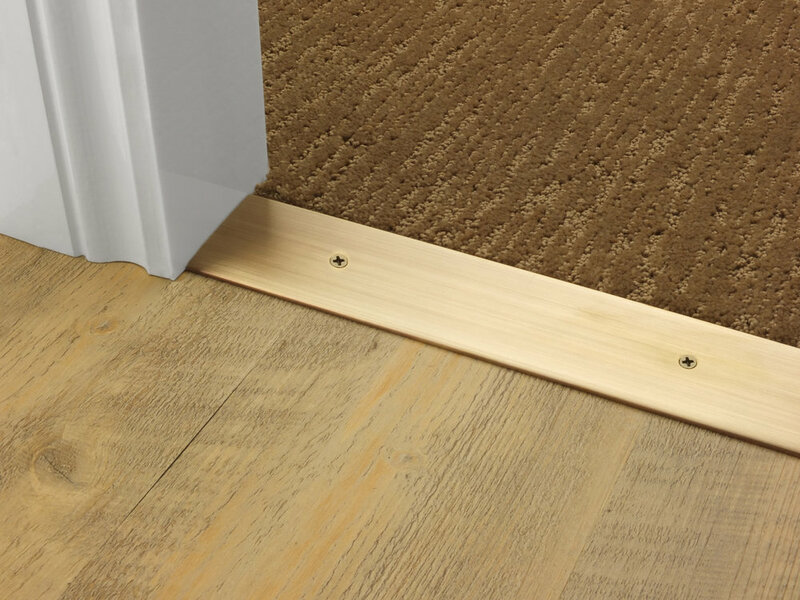 Carpets with deeper pile can still be accommodated as the pile will compress. 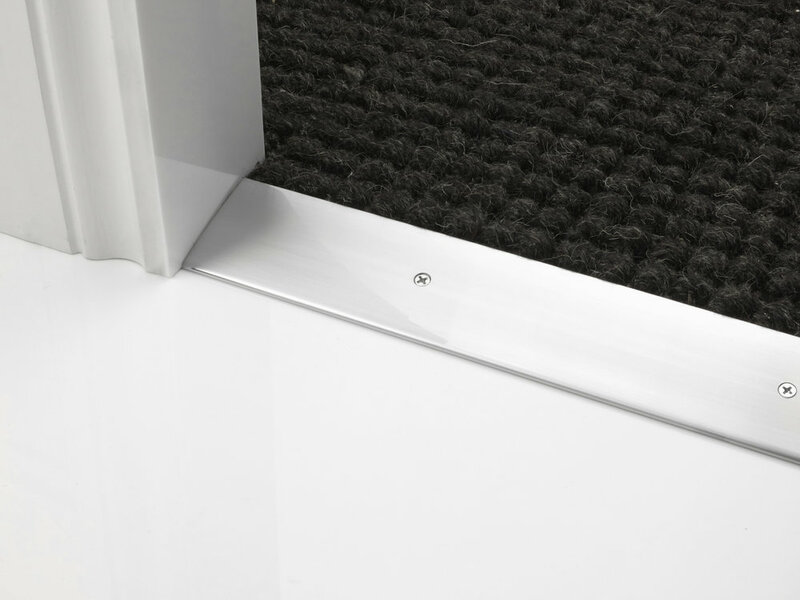 When this door bar is fitted the fixing screws remain visible. Check out this section for a Seam Binder with hidden fixings. Options for Seam Binder 2 11/64"
Standard finishes: Antique Brass, Antique Bronze, Brass, Satin Brass. Specialised finishes: Brushed Chrome, Chrome, Pewter, Polished Nickel, Satin Nickel and Black. Lengths: 35 7/16", 70 7/8" and 106 5/16".